When Jake Nickell and Jacob DeHart dropped out of college in 2000, they had $1000 and a love for t-shirt graphics and web communities. The two friends co-founded Threadless, an online company that sells t-shirts designed by…you. Each week, they posted a new theme for a t-shirt design – the winner would get their design printed and sold in bulk. What began as a 25,000 square foot warehouse and a crew of 12 young people sold over 1.5 million t-shirts in just six years. Now the company has reached international fame and sells millions of t-shirts a day. The key to their success? “It’s really just like hanging out with 400,000 online friends,” said Jake Nickell in aninterview with NPR. It turns out, the trick to building an online t-shirt company is more about the online customer base they were able to form than the t-shirts themselves. It sounds like a daunting task, but it turns out setting up an online t-shirt company is a lot easier than it looks. 1. Put simply, it’s a fun business. No day is the same; no more 9 – 5 drudgery when you get to deal with different creative designs, shared ideas, and various client requests. You get to be creative and express your passion on something people might wear around. It’s satisfying! 2. You are in control of your income. You are your own boss. As long as you are able to stay organized and motivated, and as long as you can sell your business well, the t-shirt wheels spin themselves, so to speak. When you’re on a roll, it’s easy to lack caution, so don’t lose sight of what can ruin your business. You get to decide how many projects you take on – your income is decided entirely by your drive. This also means no bosses watching when you come and leave the office; you can run to the gym midday or camp out at a café all day. You work when it’s convenient for you. 3. It’s a flexible business. If you have another job, running a t-shirt business is a great way to supplement your income. This isn’t the early to mid-20th century where making clothes was left to enormous companies who employed hundreds of seamstresses to labor away for hours… Creating and designing t-shirts takes minimal time. If the business takes off, you can make the switch and run it full time. 4. Or a gateway business. If you’re looking to expand into that industry, selling t-shirts can open a lot of entrepreneurial doors. Clients will start requesting a cute pair of shades, hoodies, bags, hats, etc. to accompany their trendy t-shirt. When you achieve a certain point of success, why not branch out? 5. Everyone loves (and needs) t-shirts. Everyone loves a good, casual t-shirt. They’re fun and easy to wear, perfect for summertime lounging or wintertime layering. T-shirts rarely go out of style, and especially if you maximize your creativity, designing t-shirts keeps your mind innovative and active. The most important way to begin is to develop a niche. T-shirts are lucrative and popular, but this also means the industry is competitive. This means you can’t simply setup a t-shirt printing press in your garage and produce shirts until the wee hours of the morning. Creating t-shirts may be fun to do, but first you need to find out just how to start a t-shirt business. Just like any successful business, you want to find your flair, your own sense of humor, your color scheme. There’s a lot of flexibility to do this in the t-shirt business, and a lot of creative room to grow. If you’re successful, your customers will become your personal marketing billboards. Once you hone in on your targeted clientele, find a design that fits your voice – and theirs. Make sure your design is unique and hard to imitate. 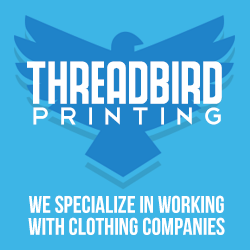 You also want to make sure the quality of your t-shirts is reputable and durable. T-shirt designing is as challenging to begin as any new company is – it takes dedication, motivation and skill, but it’s equally easy, and fun, once you get started. It’s cost-effective, and as the Threadless founders discovered, it takes almost nothing to get started. As long as your online community is strong, customers wearing your t-shirts will sell for you. Passion is one of the most important requirement. T-shirt business is not just about making money but also promoting creativity.